A bride's wedding day is one of the most important and memorable days of her life. It usually entails months and months of planning and preparation. From the dress to the shoes to the jewelry and the makeup, a bride will usually put an incredible amount of thought into every last detail of her big day. And when it's all said and done, the photos are what capture all those special details so that years down the road she can reminisce on her 50th wedding anniversary and share the images with her grandchildren. Ok, ok, so that sounded a bit sappy. But, I want to explain 3 MAIN reasons why opting for a pre-wedding bridal session is a fabulous idea for all brides! #1) Time & Pressure: There never seems to be enough time on the wedding day to capture everything. Even the best planned photography timeline can feel rushed at certain moments. Hence, reason number one to book a bridal session: Time. With a bridal session, it is never rushed. The bride is fresh and relaxed. There's absolutely no pressure, and she feels calm and confident--no worries! It's just the bride-to-be and her photog; noone is watching and the pressure is off. While the wedding day is special and memorable--let's face it--it can also be a bit chaotic and stressful at times. I mean, naturally, even the most laid-back bride is going to be a little nervous--hello?! She's getting MARRIED! So bridal sessions are a wonderful way to capture those photos of the bride without her feeling nervous or rushed. 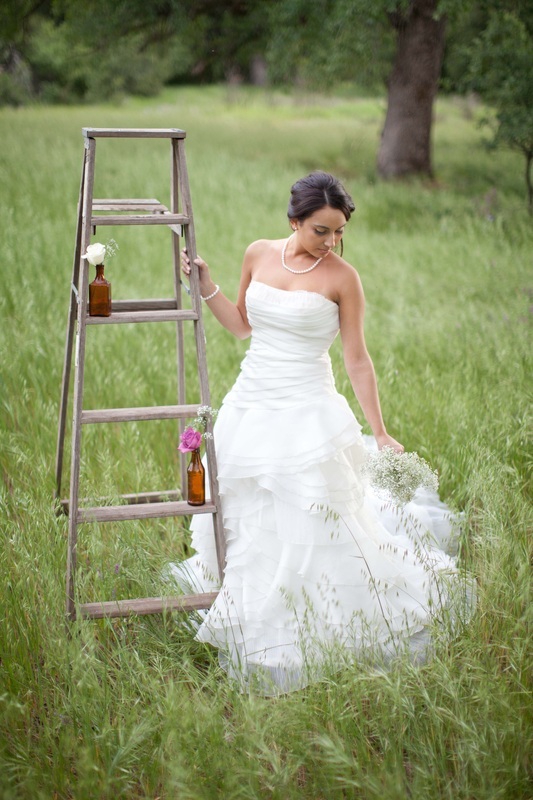 #2) Hair & Makeup Trial: A bridal session is the perfect time to book a trial run for hair and makeup. I urge every bride to have a trial done of her wedding day look, and a lot of salons and studios provide this service as a part of their package. Plus, this is a great way for the bride to see how it photographs. There are times when hair and makeup will seem great in person, but may come up a little flat in images. To ensure it will look fabulous before walking down the aisle (and not to mention to save money), I encourage brides to schedule a hair & makeup trial the same day as the bridal session. Another idea is to check with the florist to see if they will put together a mock bouquet for the bridal session! #3) Location Flexibility: This goes back to time. On the wedding day (depending on how much photography coverage has been purchased), many times the location for portraits is limited to the surrounding area of the venue. This can be challenging because not all wedding venues are conducive to lighting and may or may not offer beautiful backdrops. Scheduling a bridal session allows for a wide range of location options; there's no rush, so the bride and photographer have the option to select the perfect time and location for the shoot. There are many, many more reasons why scheduling a bridal session is an important element to the wedding planning process. However, these are my three top reasons why I think brides should book their bridal portraits in advance. As always, just my opinion, but hope it helps!